Yes we do one way shipments to New Zealand or the United Kingdom. These are totally different to our return shipments. If a motorcycle is leaving the UK to stay permanently in NZ, there is NO duty to pay but there will be 15% GST (goods and service tax) to pay to NZ Customs when it arrives based on the CIF of your motorcycle. 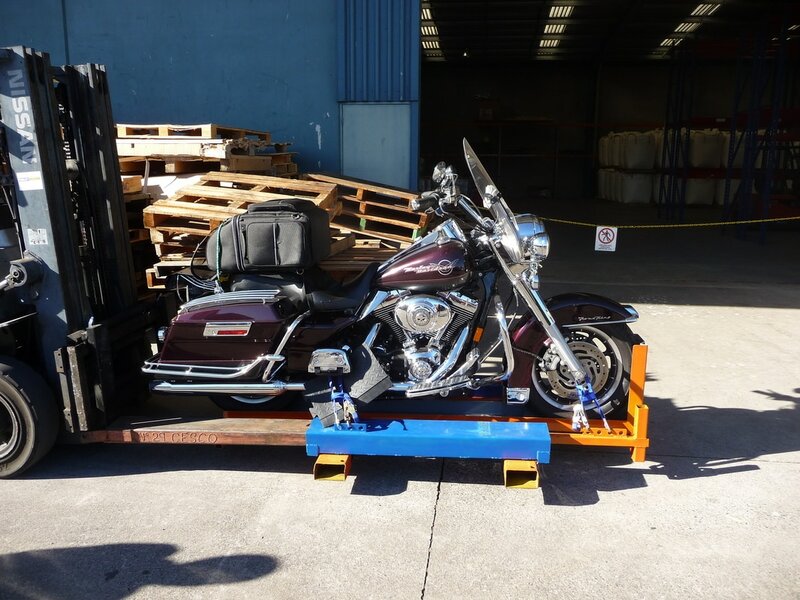 This is for importing your motorcycle into New Zealand permanently and is to be paid by you (the owner) once your bike has been cleared through Customs. Then you will be able to pick your motorcycle up or we can arrange delivery for you to anywhere in New Zealand. 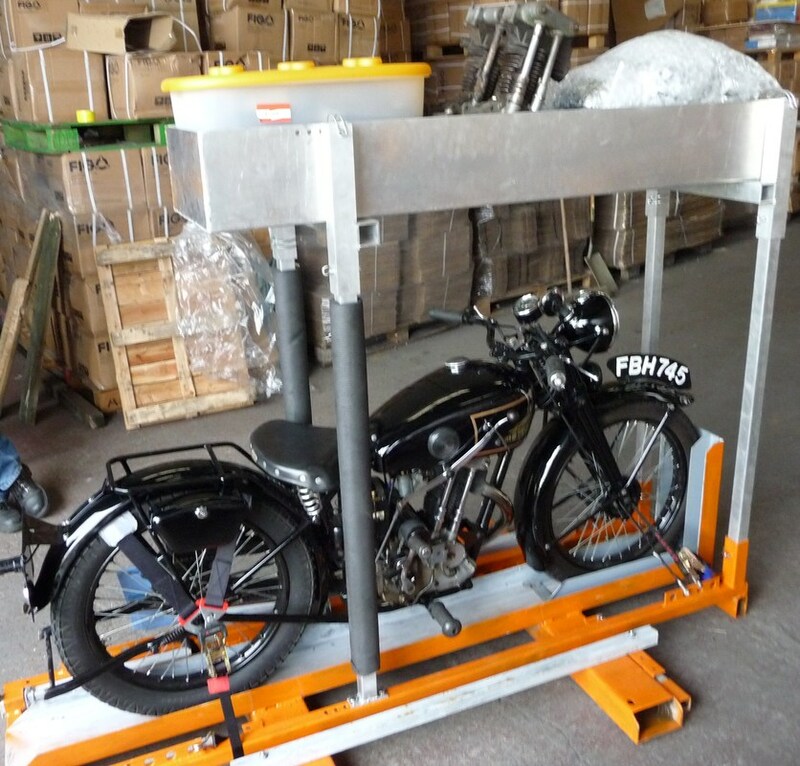 CIF means the (cost) value of your motorcycle, the (insurance) and the (freight) to NZ or the UK. 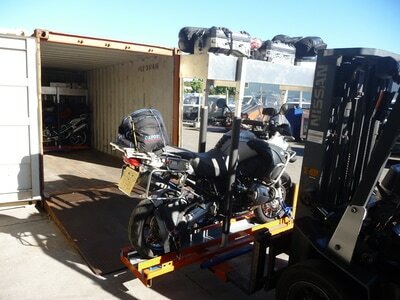 If a motorcycle is leaving NZ to stay permanently in the UK, then there IS import duty and import VAT to pay to UK Customs when it arrives based on the CIF of your motorcycle. This is for importing your motorcycle into the UK permanently and is to be paid by you (the owner) once your bike has been cleared through Customs. Then you will be able to pick your motorcycle up or we can arrange delivery within a 100 miles from Gravesend (Mainland only). For those of you that are travelling on a Carnet, either on a returning journey or onward journey with us (one way to NZ or the UK), you will have NO Duty/VAT/GST to pay in either country if your Carnet has not expired. ​Contact us for a one way shipment price that includes your insurance.